We all know that the Human Resource department is an integral part of any organization. Without a good HR, it would be tough for an organization to build a good team of professional personnel to work for them. 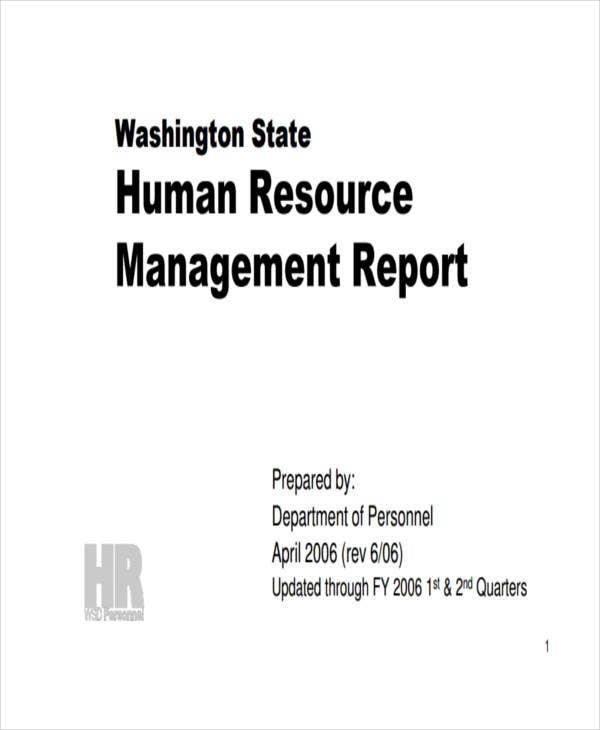 One of significant duties of an HR Report Templates staff is to make reports that are crucial in the decision-making process of an organization. 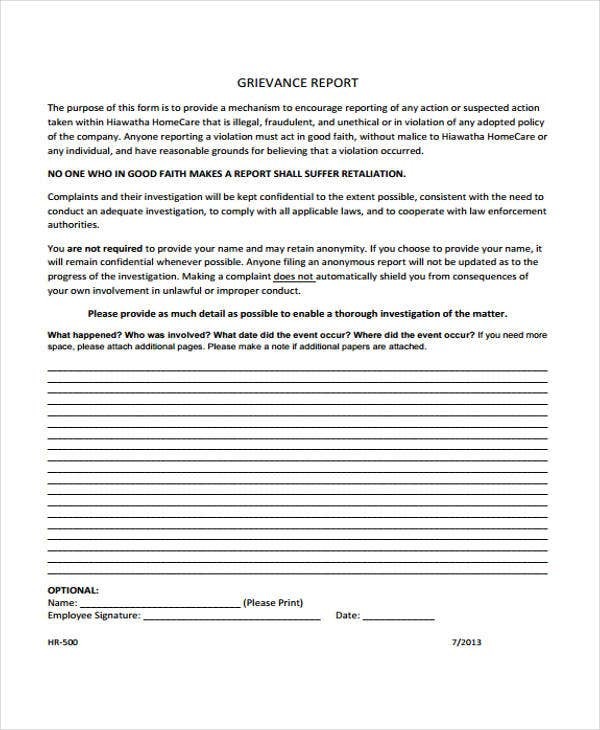 Since these reports are business documents, it should follow the standard report format. 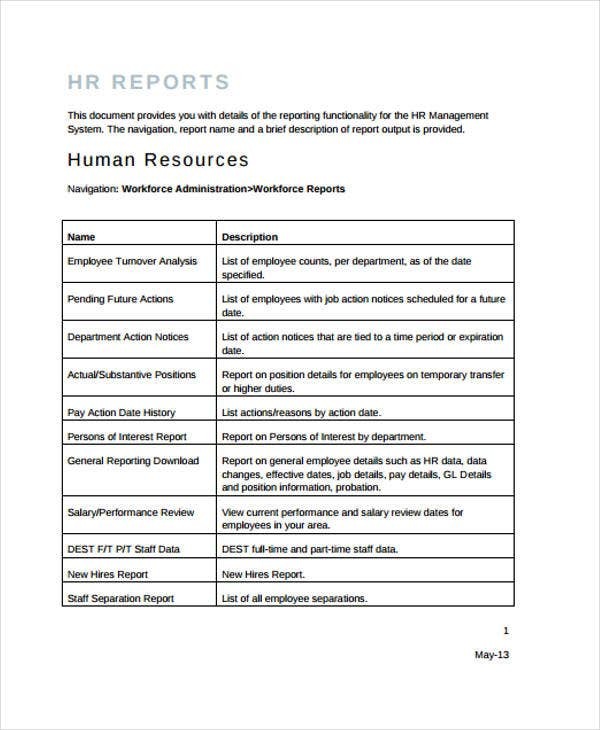 Just like any report summary, HR reports should contain all the essential data, including statistical information, skills requirements, and salary budget, depending on the purpose of the report. 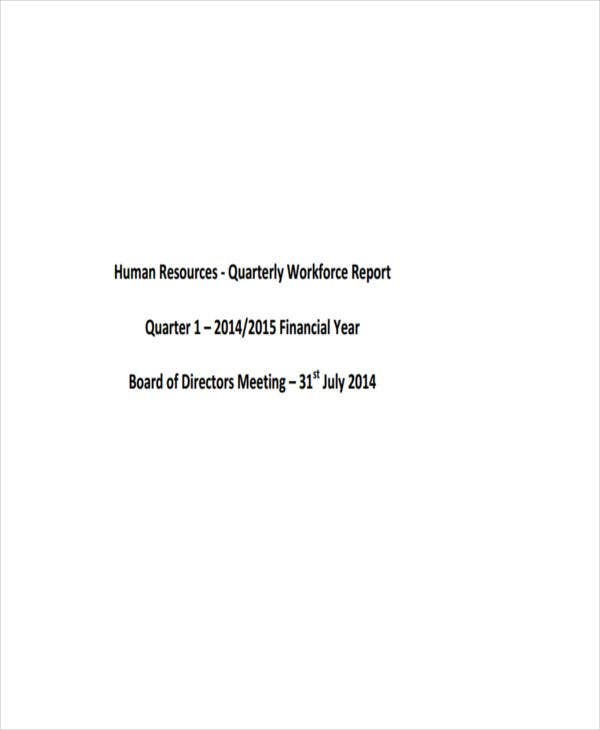 In this article, we will not only provide vital information about HR reports but also useful templates that you can download for free from our website. 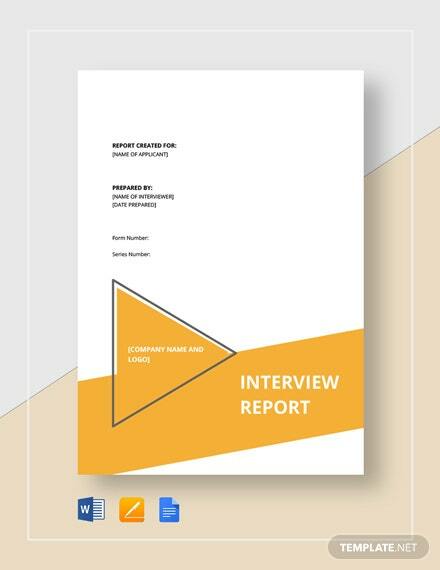 An HR report is considered to be an effective communication tool because it shows an organization all the important information needed in making informed decisions that are beneficial to its overall well-being. 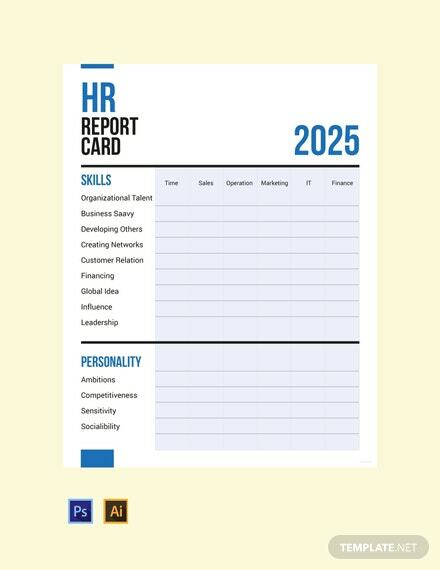 Regular strategic reports from the HR department does not only play a critical role in large business management but in a small setting as well. 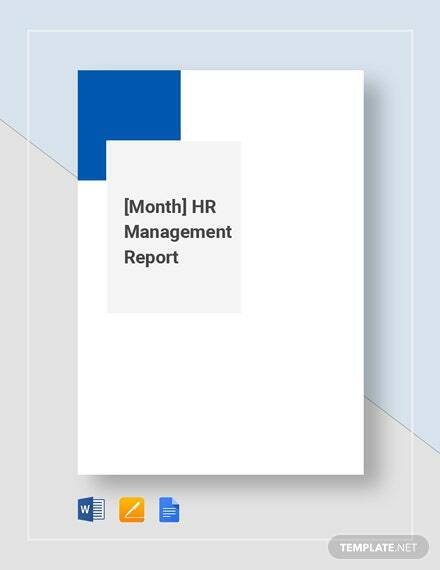 The effectiveness of the HR monthly report can make or break the success of an organization. Not only does it recruits the company’s workforce, but it also provides training and performance review of the workforce and motivates employees to perform even better. 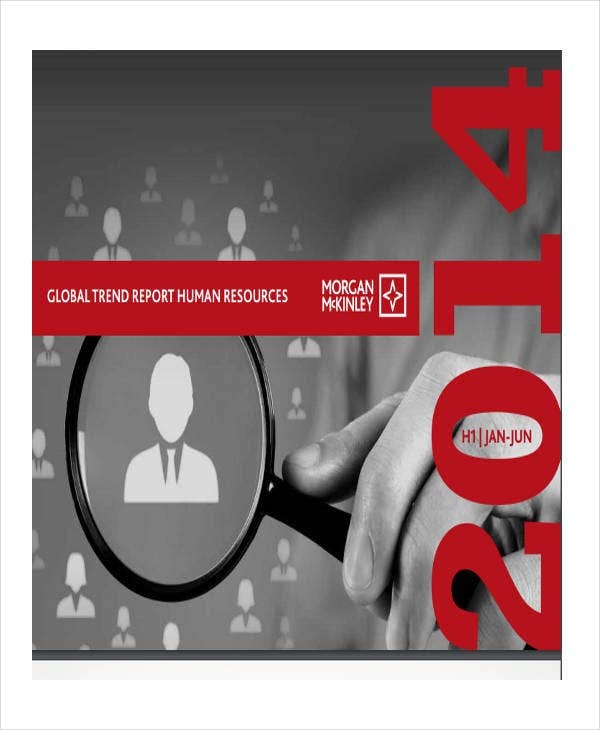 We would also recommend you to check out more report samples in PDF found on our website. 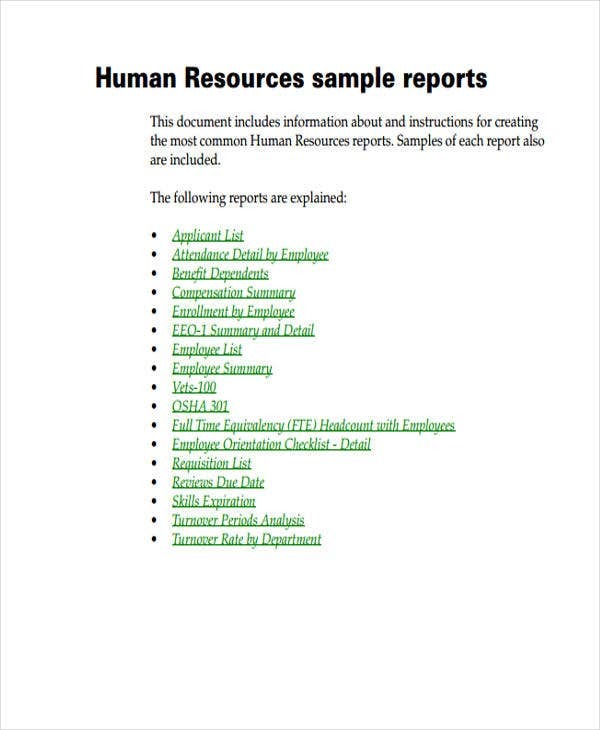 They can be downloaded and edited to match the purpose of your report. 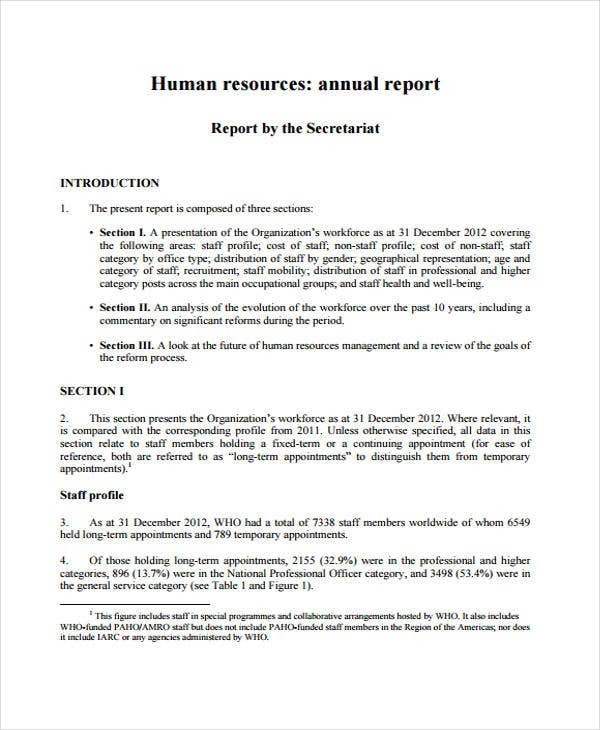 What Is an HR Audit Report? 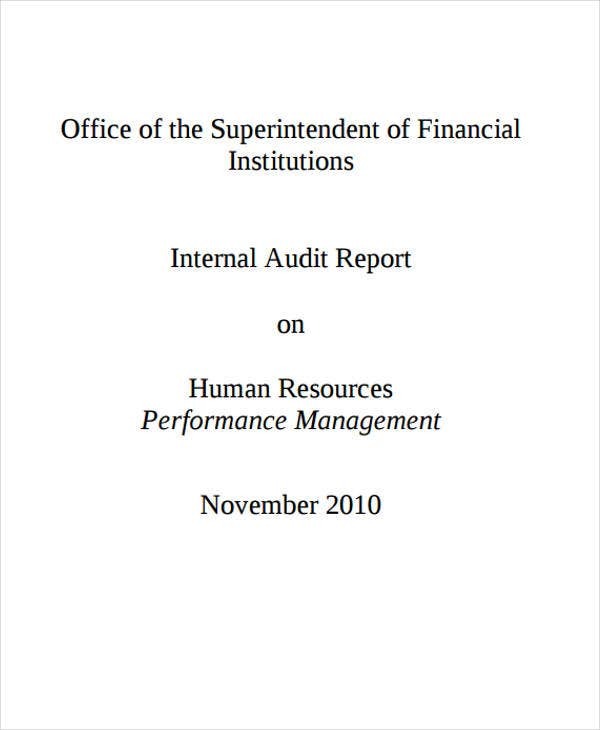 An HR audit report is defined as the process of evaluating the overall policies, practices, documentations, systems, and procedures with respect to the functions of the HR in the organization. Additionally, this process often includes meeting with the HR staff belonging to the different areas of the organization as well as managers and in-house employment counsel, if possible. 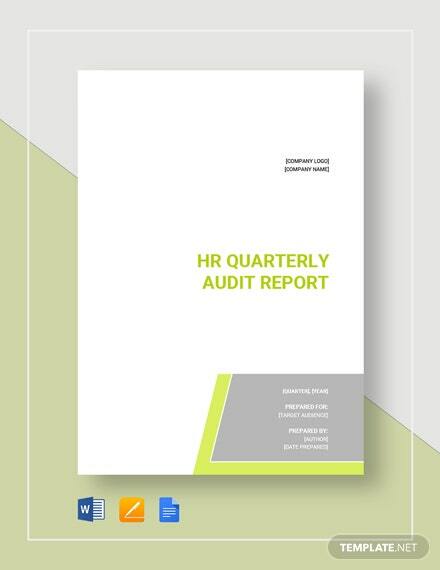 The main goal of an HR audit report is determine the strength and weakness of the HR staff, as well as addressing all the possible issues that requires immediate resolution. You may also want to download more report samples in Doc format from our business archives for more references. Provide details on how your previous target goals were achieved. If it hasn’t been achieved, make sure to provide the reasons and how it should be addressed. If there are external factors that can potentially affect the organization, be sure to include it in the report. Use bullet points, charts, and graphs when providing information. 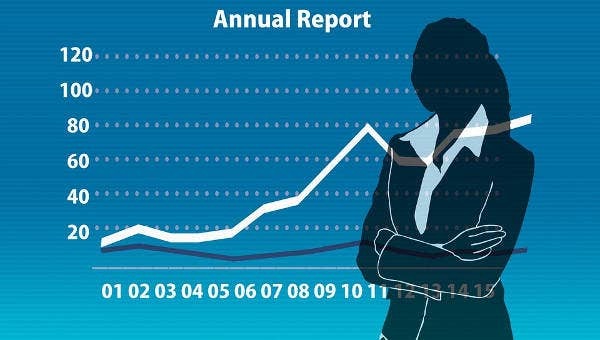 Before you leave, do not forget to check out our samples of executive reports from Template.net.